I'm back! haha Did you miss me? (cause I just posted a few hours ago!) I have so much fun stuff to share from Cosmoprof, that I'm overloaded with excellent material! This afternoon's post featured two companies I had the pleasure of seeing during Cosmoprof last week! Nubar, for starters, is a new-to-me brand! 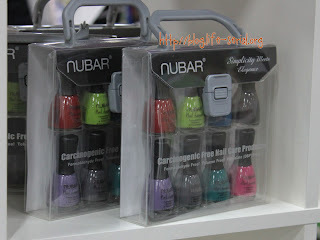 I had never actually found bottles of Nubar, nor had my eyes been graced by their physical presence (wow, did I just talk like that?) Anyway, I was super excited to see them at Cosmoprof! 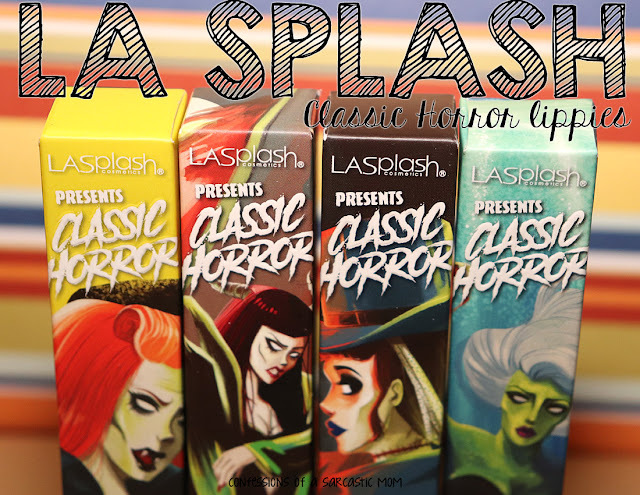 The lovely Lona showed me and some other bloggers around the booth, giving us the highlights! 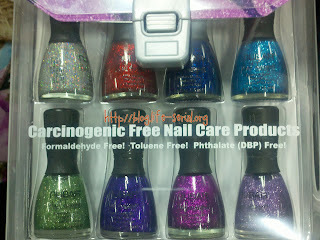 I was super excited about the glitter polishes, which are super packed with glitter! I love the packaging, too! 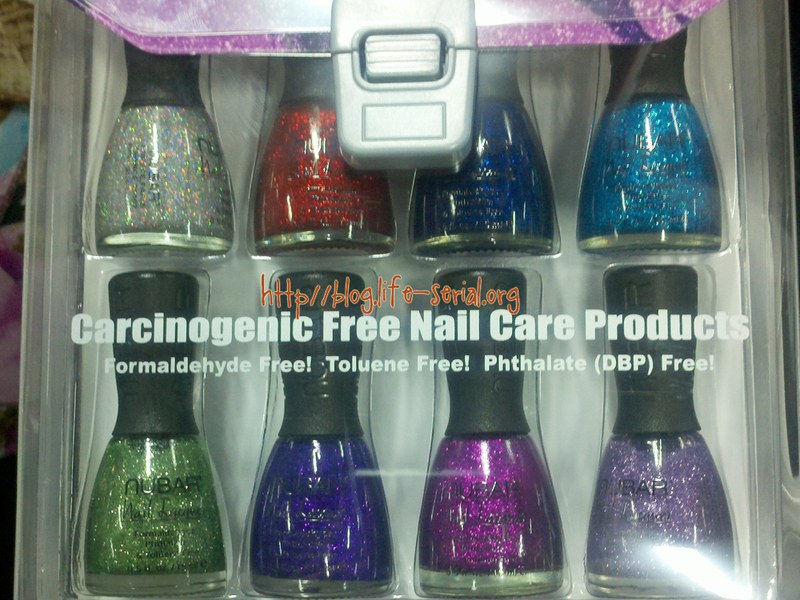 The little carrying cases of nail polish are cute! I was able to meet a very special person while at Cosmoprof. Her name is Barbara Lampugnale, and she is the driving force behind Duality Cosmetics. She is "a hard-working and determined mother of six girls, always had visions of creating innovative, fashionable and practical items for women with active lives." (credit for quote: DualityCosmetics.com) She appeared on Shark Tank, an ABC television show which allows people to appear, pitch their product to the business "sharks" and see if their idea has merit. And her idea DOES have merit!! The idea is polish, file and remover pads all in one - and it's awesome! They come together in one package. And the file pops out of the base to reveal the conditioning remover pads! How amazing is this combo? Traveling with this system would be the best thing ever! You wouldn't have to lug around huge bottles of remover, or be caught without a file if you're flying. I think this system is truly original. And I can tell you that Barbara is one of the most sweet, nice and humble people I've ever met. She was genuinely touched that Lindsey, a blogger who was with me when we met her, wanted a photo taken with her! So that's my booth post for today! 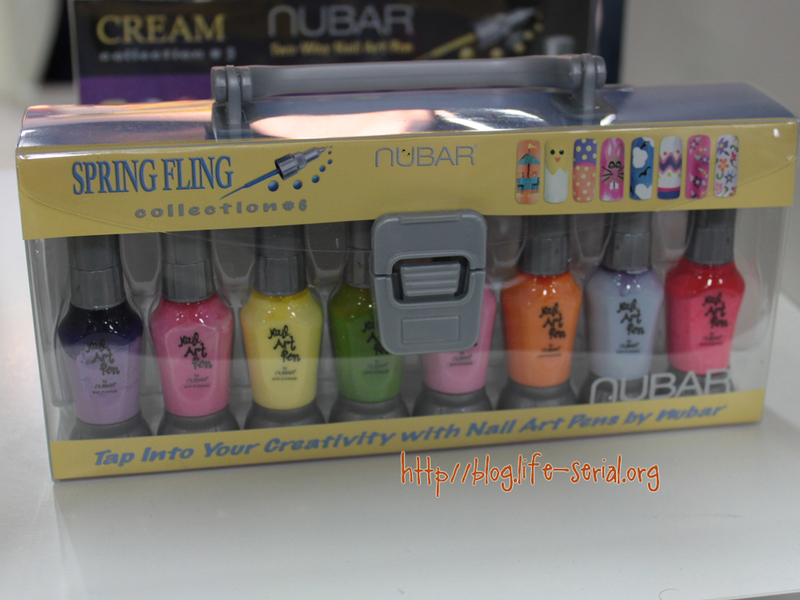 I have more, so keep coming back to see what other awesome things I found at Cosmoprof!